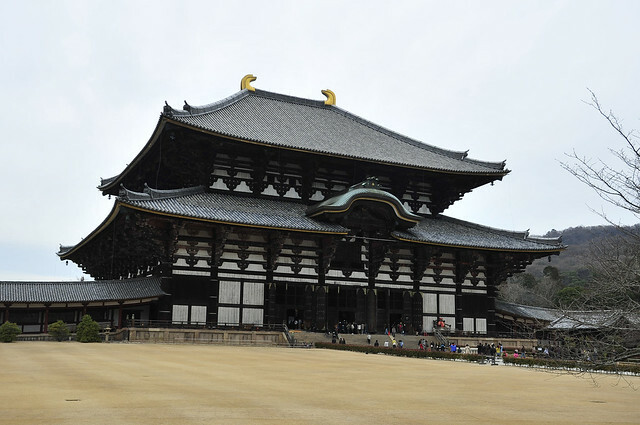 Todaiji 東大寺, which is one of the main highlights in the “Historical Monuments of Ancient Nara” under “UNESCO World Heritage Sites”. 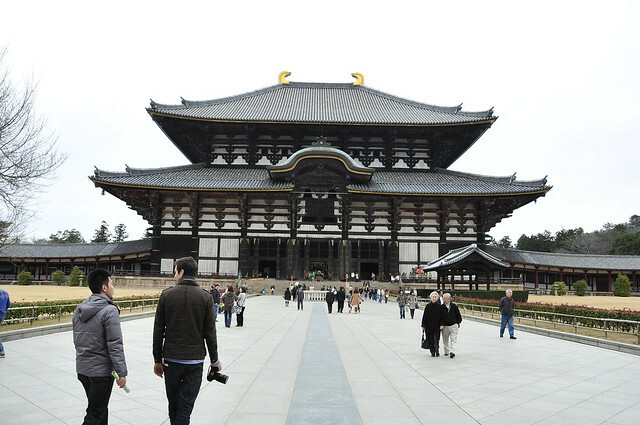 It is the largest wooden building in the world. It is massive in both scales of size and shock value! I vividly remember how astounding the first impressions were when we first laid our eyes on it from afar as we entered its gates. Its sheer grandeur was simply breathtaking! Approaching the main hall while walking on the axis line, marked by darker grey tiles. Everyone seems to pale and dwarf in its presence. 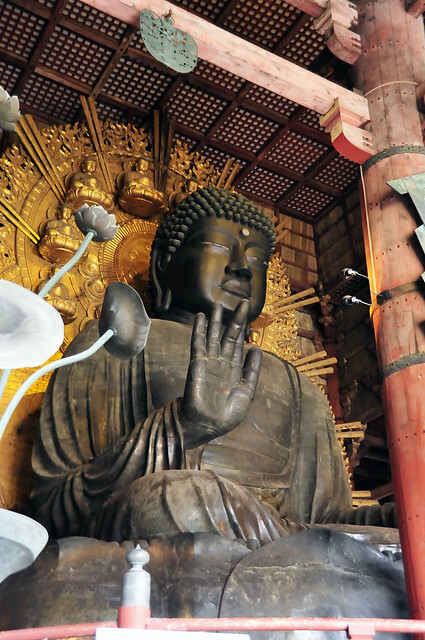 And inside the main hall, lies the largest bronze statue of Buddha in the world! Its even larger than the ones in Kamakura and Lantau Island in Hong Kong! 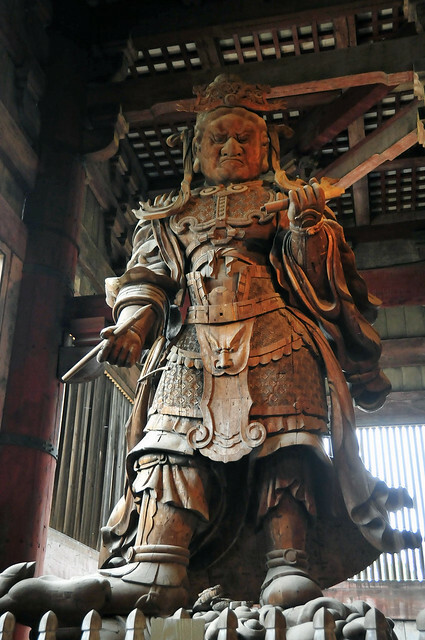 Flanked on the sides of the Daibutsu are colossal wooden statues of the “Guardian Kings”, reaching almost the ceiling. 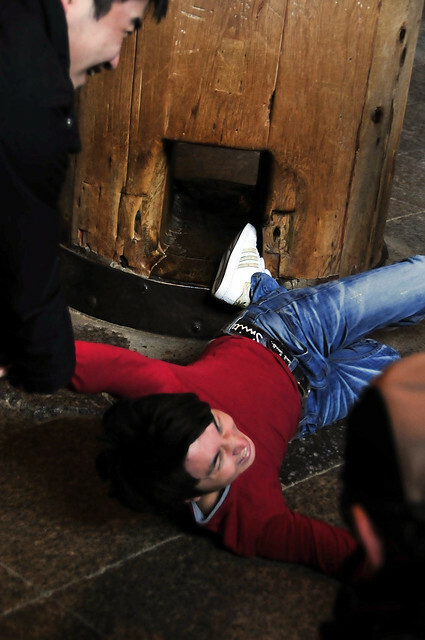 And then we have mainland Chinese tourists having a go…looking at how strained the muscles on his palm were, its no easy feat!!! 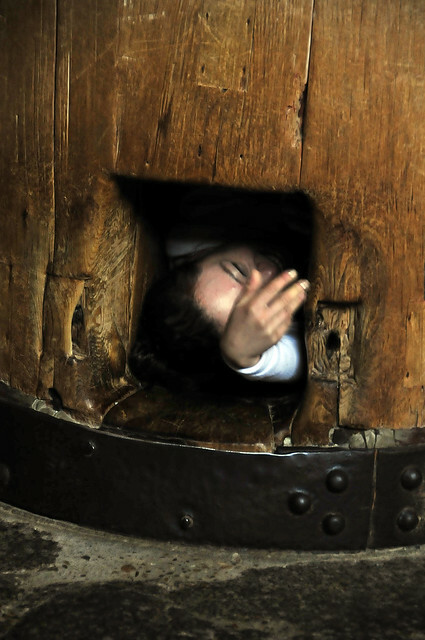 Reminds of Sadako from “The Ring” yeah? And then he comes tumbling through! Much to the entertainment amusement of the crowd who cheered him on… humbug! Not sure about attaining Nirvana in her next life… she has to survive the embarrassment here first! 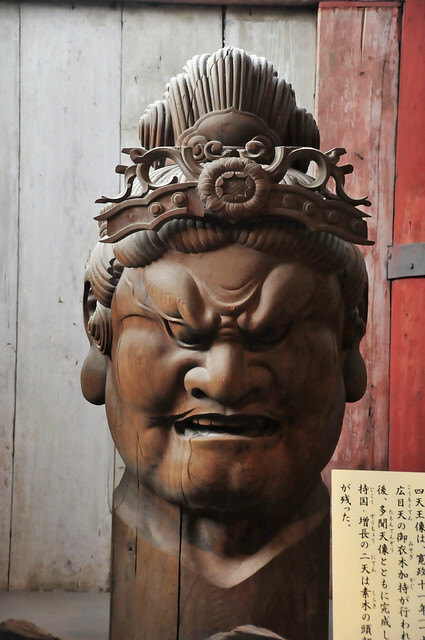 Coming “face to face” with one of the heads of the Guardian Kings, used during their construction. 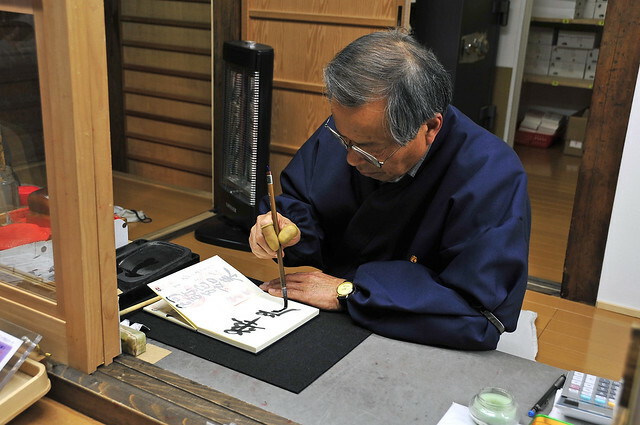 A temple staff making inscriptions on the Nokyocho. 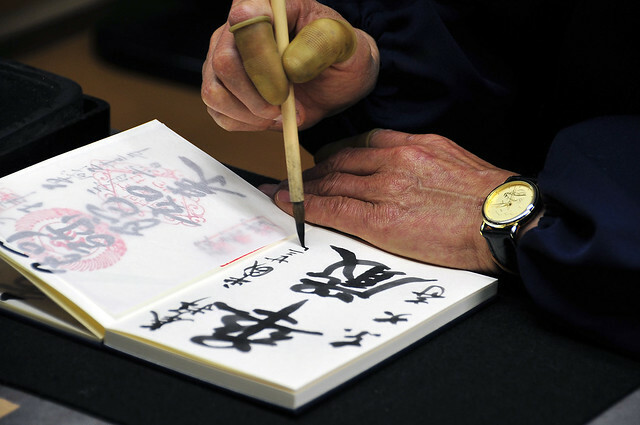 A Nokyocho is a pilgrim’s book which one can maintains by getting it stamped and inscribed at each temple or shrine visited. 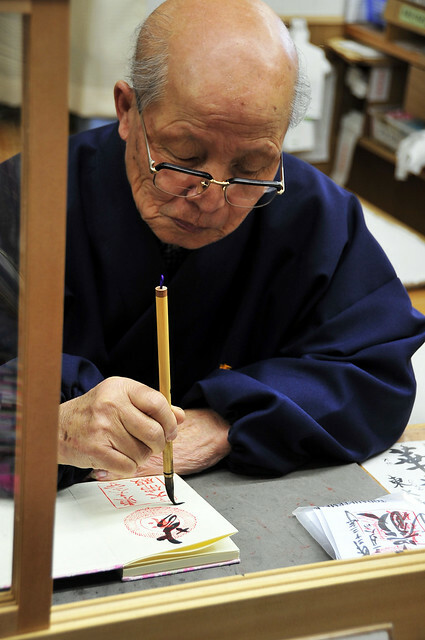 Here’s another elderly gentlemen penning the words “華嚴”, the name of the Avatamsaka Sutra. 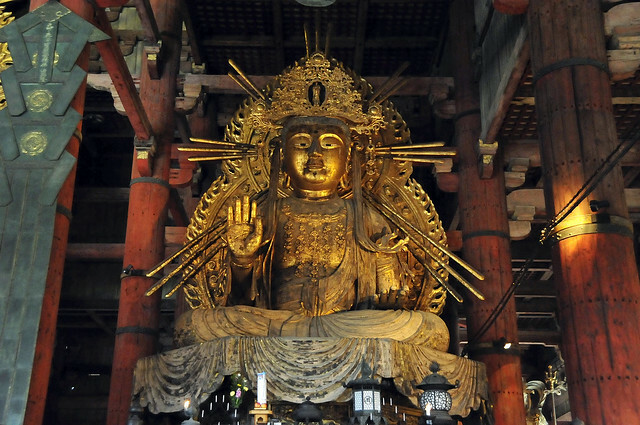 Yet another gigantic statue in the Main Hall, of 如意輪觀音 Ryoirin Kannon, one of the numerous manifestations of Avalokiteśvara. 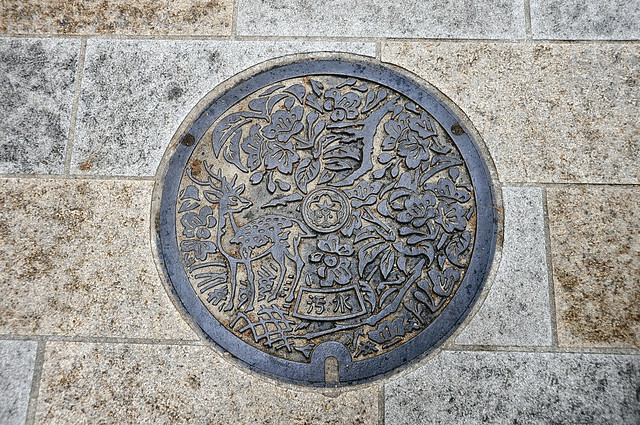 Even the manholes are so lavishly decorated. 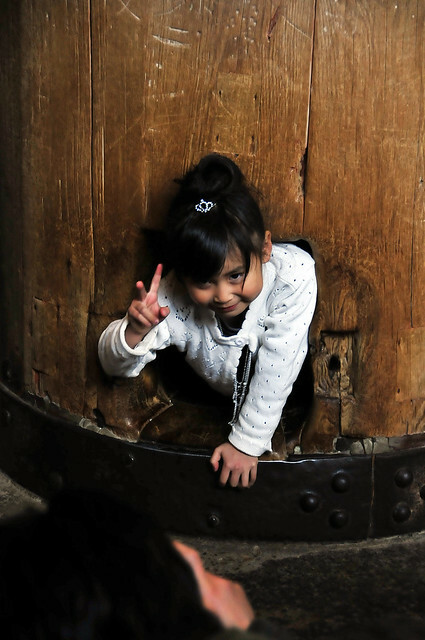 Goes to show how the Japanese pay attention to and scrutinize every single detail! The train ride from Nara back to Osaka was fairly short, since Nara lies somewhere between Kyoto and Osaka. We slept most of the way, feeling utterly exhausted! Before we knew it, we were back to hustle and bustle of the cosmopolitan hub. Namba station in Osaka is like Shinjuku in Tokyo. An underground maze!!! 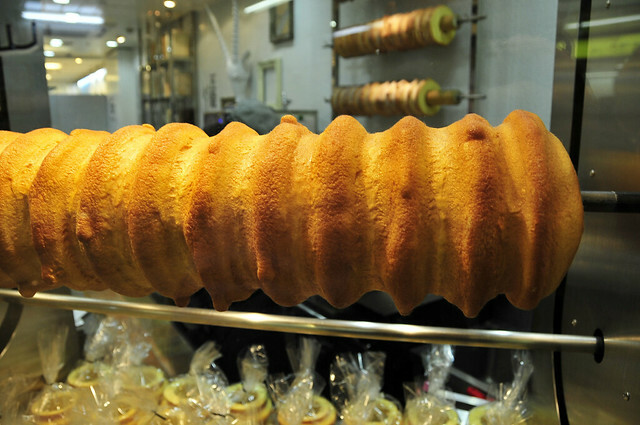 While orientating our way back to the hotel, we chanced upon this shop specialising in baumkuchen! The log-like cakes hung on the walk to cool down were humongous! Dinner brought us back to Dotonbori, where we had ramen dinner at 四天王拉面 Shi Ten Noh Ramen on our first dinner in Osaka. 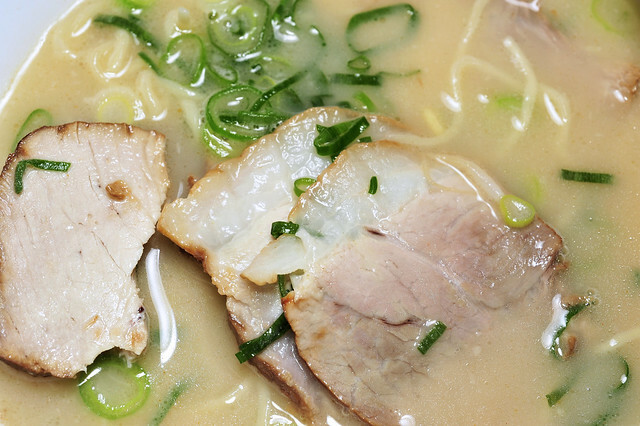 We were keen to try out the other two ramen joints which were also raved in the guidebooks we’d used for this trip. First up was 金龍拉面 Kinryuu Ramen. Prima facie, the presentation seemed pretty slipshod with the char siu slices haphazardly arranged, and the spring onions (negi) all over the place. 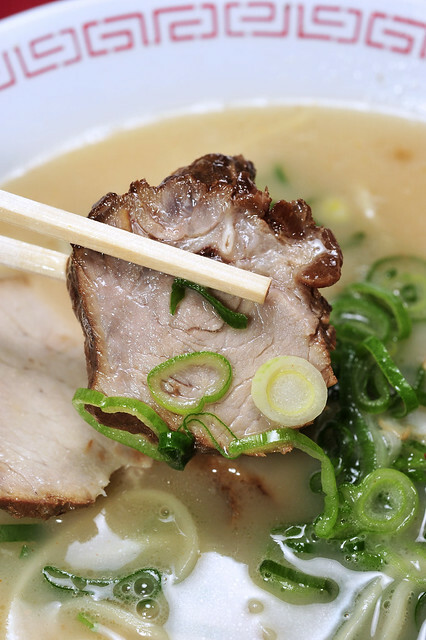 The broth was thick and creamy (we like!) but laced with MSG (we don’t like!) so definitely not worth trying on that account. Char siu (braised pork slices) comes in two forms, one pork belly which are much more thinly sliced, while the other, chunky pieces of lean meat. If not the pork chunks were braised a bit more… wait, make that a lot more!!! 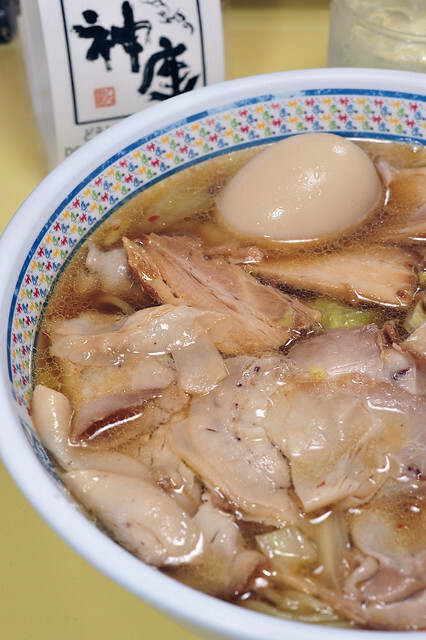 Feeling utterly discontented, we hopped over to another joint raved in the guidebooks, 神座拉面 Kamukura Ramen. 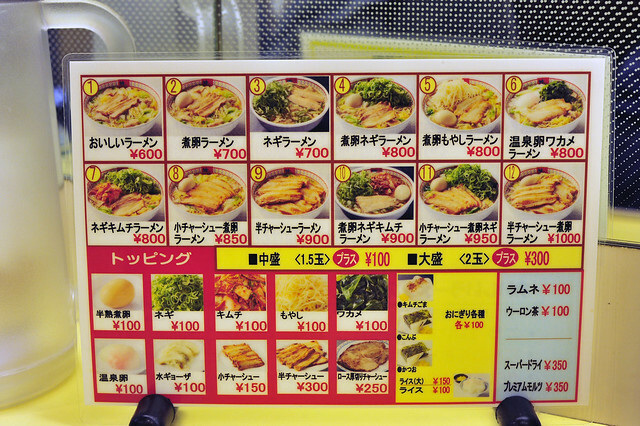 A peek at the menu, with much more variety compared to Kinryuu. 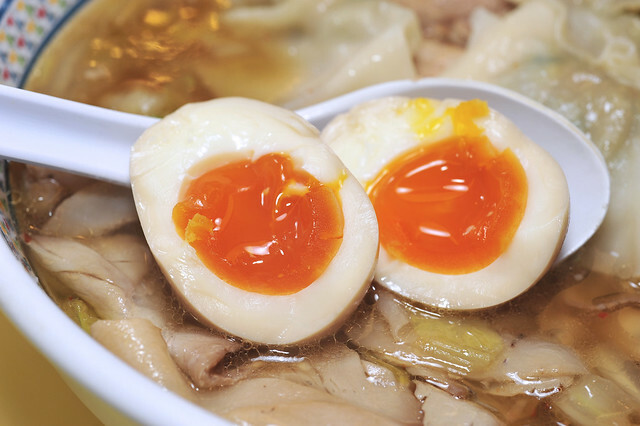 The standard bowls are pretty sizeable already but one can always opt for “upsize” to a larger serving of “medium bowl 中盛” which comes with an additional one and a half “ajitsuke tamago” for another 100 Yen, or even “large bowl 大盛” which comes with 2 extra half-boiled lava eggs for another 300 Yen! Not we are not here to live vivaciously! So the standard bowl would suffice! In contrast, Kamukura’s soup base is clear, a tad oily but still acceptable. Serving only one type of char siu though, we got leaner cuts of pork belly. Good! Goes to show that if one does it well, one type is more than enough! 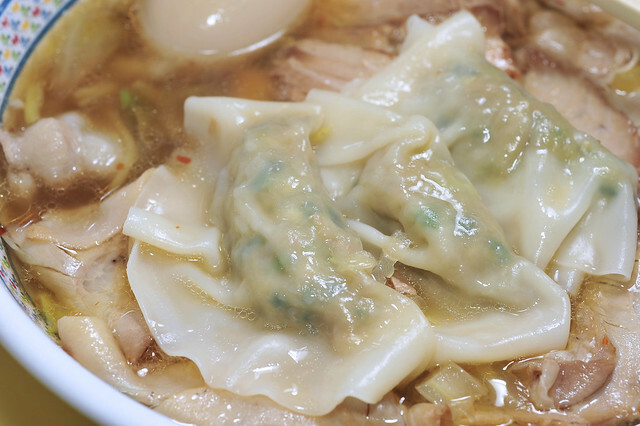 We did opt for a serving of 3 pieces of dumplings for another 100 Yen. 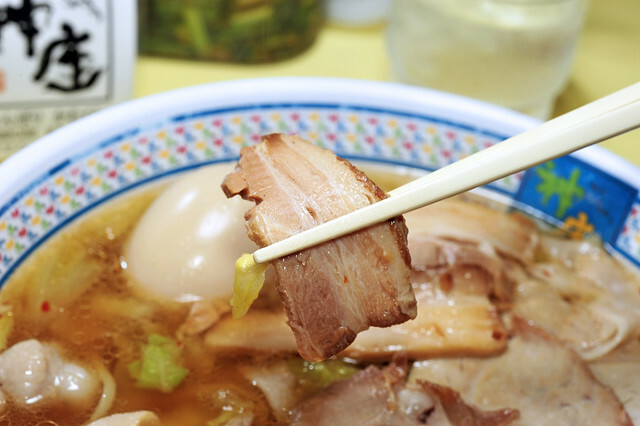 Lotsa extra toppings options available from more char siu, negi, to even onsen tamago. 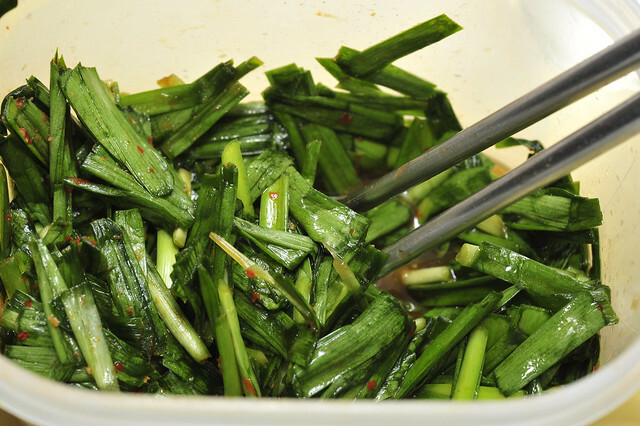 And this is what I LOVE about Kamukura, freeflow pickled chives in chilli and garlic a la kimchi style! I was kinda skeptical about the Japanese doing this well. But OMG I was wrong! This is good sh*t!!!! I made J finish half of the noodles first before polishing off the rest with very very generous portions of chives! Yes I mean very very generous portions. 🙂 That kinda made up for the dining experience at Kinryuu just moments earlier… well, almost. Noodles were springy, but then again, most ramen joints we’d been to do their noodles pretty decently. So that can’t really go wrong I guess! 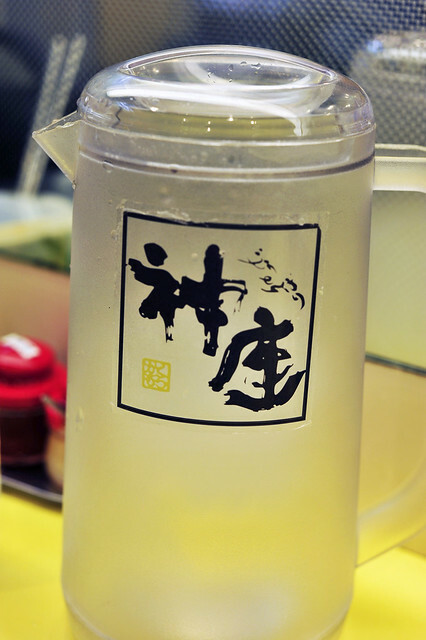 So for us, its Kamukura first, followed by Shi Ten Noh Ramen which we tried about a week back. 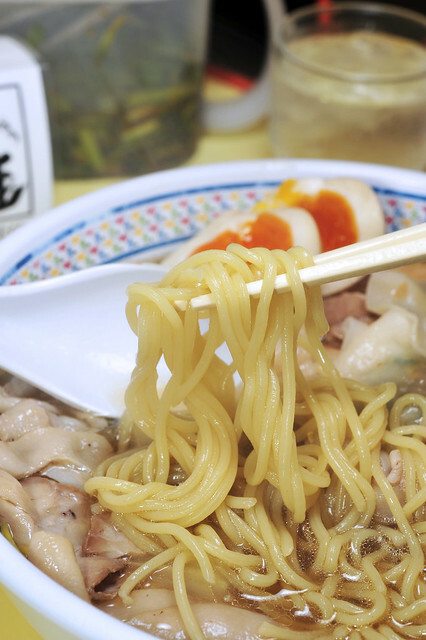 Kinryuu should seriously be booted out of Dotonbori for serving crap to tourists, ruining the name of good ramen. 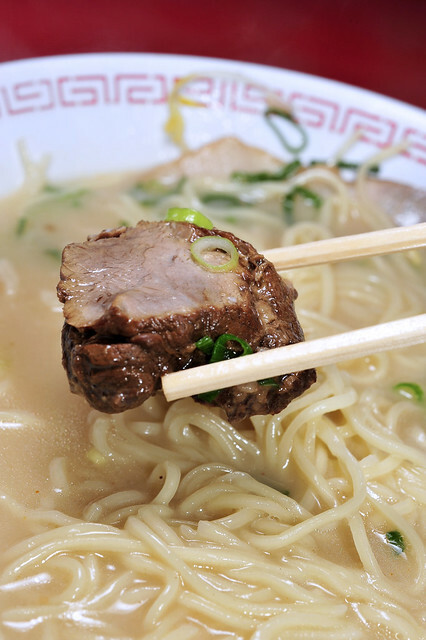 If they think gaijin tourists know nothing about ramen and they could get away with it, think again! Shame on you Kinryuu!!! 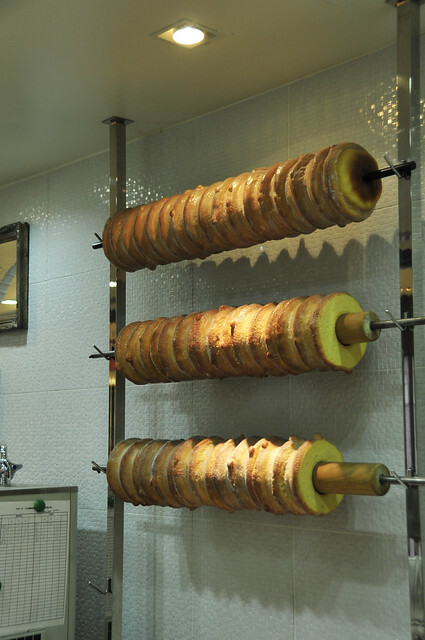 This entry was posted on March 17, 2012 by Alan (travellingfoodies). 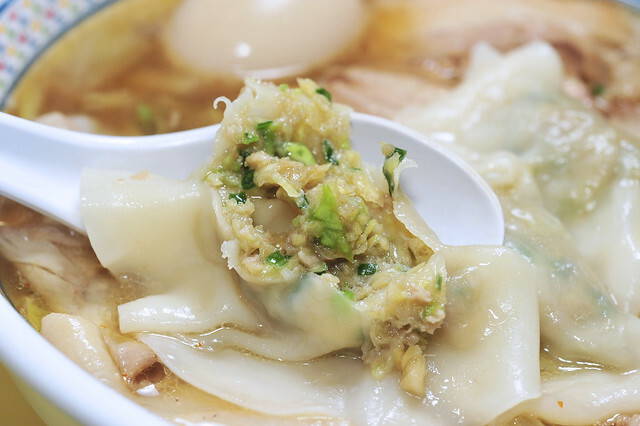 It was filed under Food, Travel and was tagged with バウムクーヘン, Baumkuchen, buddha, char siu, 神座拉面, deer, dotonbori, 金龍拉面, Japan, Kamukura Ramen, kannon, kansai, Kinryuu Ramen, namba, nara, nyoirin-kannon, osaka, ramen, sika deer, Todaiji, 奈良, 如意轮观音, 年轮蛋糕, 日本, 東大寺. I hope to visit Japan one day. I always wanted to go there. 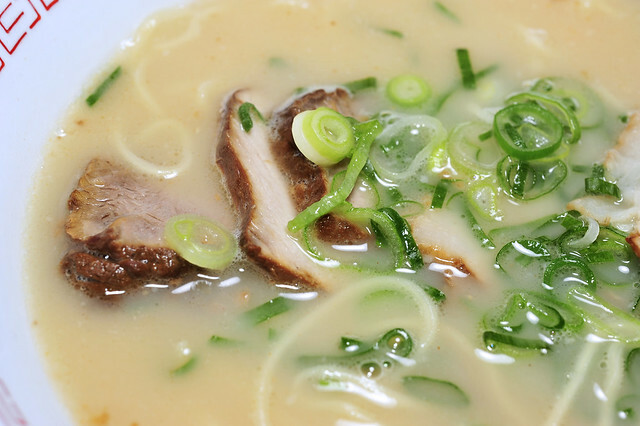 The scrumptious looking bowls ramen are killing me. They look so delicious!! Thanks for sharing all the beautiful pictures of Japan with us Alan. You are a very talented photographer! did you go thru that hole? 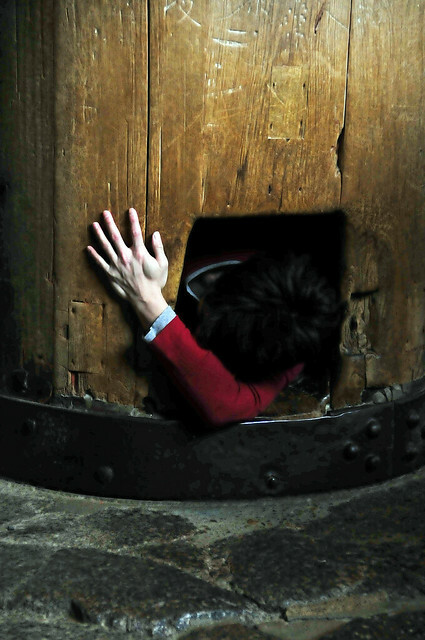 i can imagine how funny and also quite embarrasing to struggle out thru that hole..alan, your tummy might just got stucked there..haha! 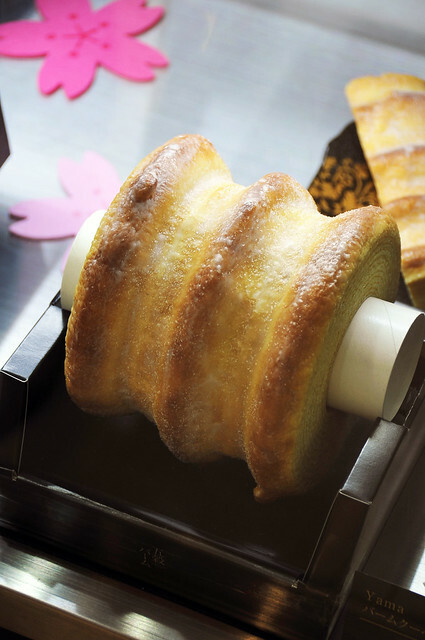 Wow, what a post (and how random is that baumkuchen?)! 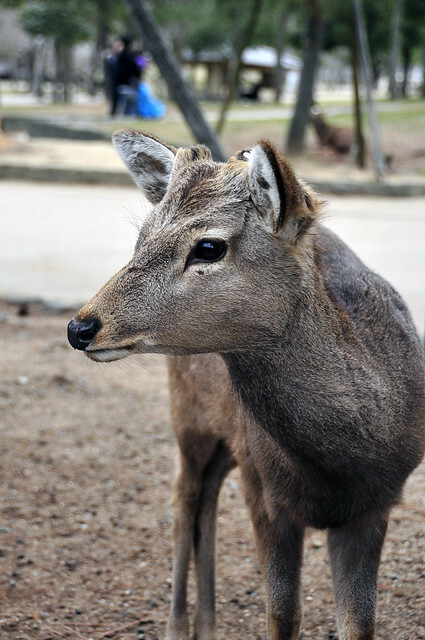 I went to Nara on a high school trip and this brought back some memories; imagine two awkward 6′ high school guys shimmying through that nostril!! !